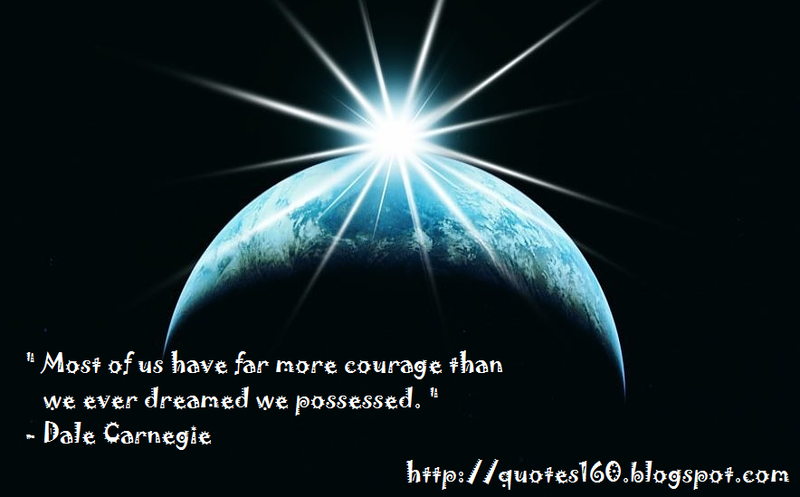 " Most of us have far more courage than we ever dreamed we possessed. " 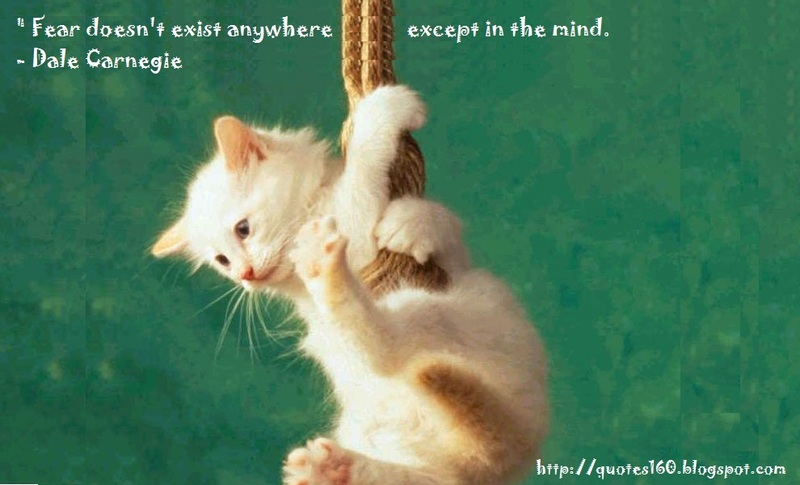 "Fear doesn't exist anywhere except in the mind. " 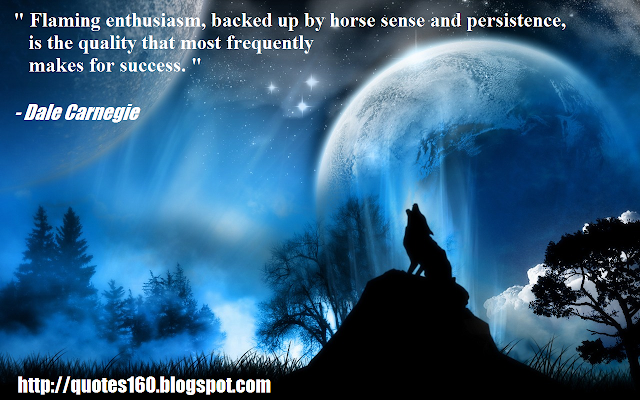 " Flaming enthusiasm, backed up by horse sense and persistence, is the quality that most frequently makes for success. " 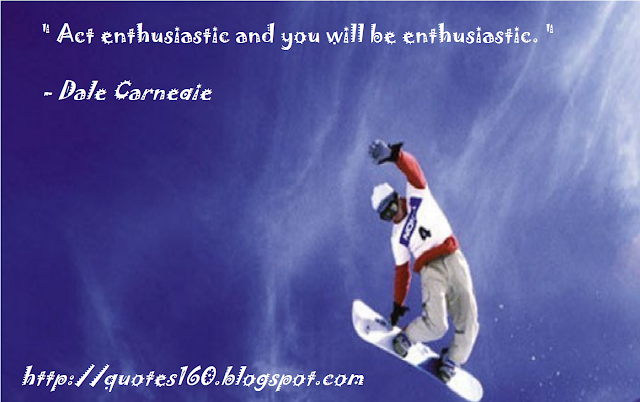 " Act enthusiastic and you will be enthusiastic. " " It isn't what you have or who you are or where you are or what you are doing that makes you happy or unhappy. It is what you think about it. " " Don't be afraid of enemies who attack you. Be afraid of the friends who flatter you. " " You can make more friends in two months by becoming interested in other people than you can in two years by trying to get other people interested in you. " " Success is getting what you want..
Happiness is wanting what you get. " " Most of the important things in the world have been accomplished by people who have kept on trying when there seemed to be no hope at all. " " Any fool can criticize, condemn and complain--and most do. " " Remember, today is the tomorrow you worried about yesterday. " " When we hate our enemies, we are giving them power over us: power over our sleep, our appetites, our blood pressure, our health, and our happiness. " " If you are not in the process of becoming the person you want to be, you are automatically engaged in becoming the person you don't want to be. " " It isn't what you have, or who you are, or where you are, or what you are doing that makes you happy or unhappy. It is what you think about. " " Knowledge isn’t power until it is applied. " " Even god doesn't propose to judge a man till his last days, why should you and I? " " You can conquer almost any fear if you will only make up your mind to do so. For remember, fear doesn't exist anywhere except in the mind. " " Our thoughts make us what we are. " " Any fool can criticize, condemn and complain - and most fools do. But it takes character and self control to be understanding and forgiving. " " One reason why birds and horses are not unhappy is because they are not trying to impress other birds and horses. " " When dealing with people, remember you are not dealing with creatures of logic, but with creatures bristling with prejudice and motivated by pride and vanity. " " Talk to someone about themselves and they'll listen for hours. " " Remember, happiness doesn't depend upon who you are or what you have, it depends solely upon what you think. "